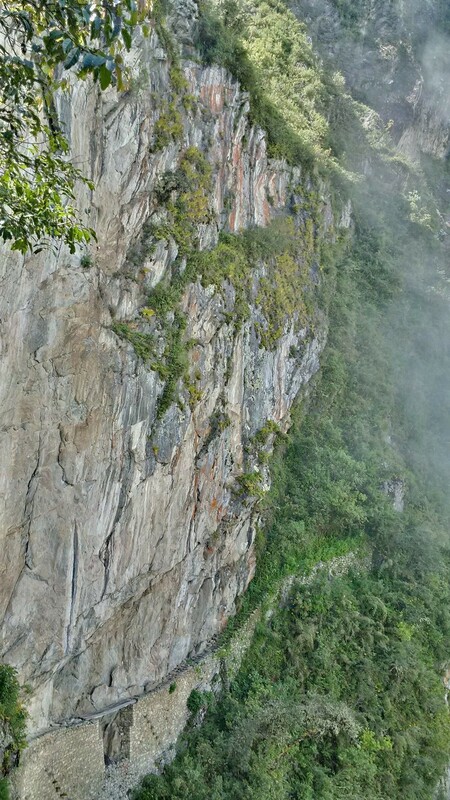 The Inca Bridge, at the lower left of the photo. It's actually planks over a collapsed section of the a pathway along a sheer wall. You can't get all the way down to it (too dangerous), but it illustrates the ingenuity of the people who built these trails.